Published on 24 October 2012. 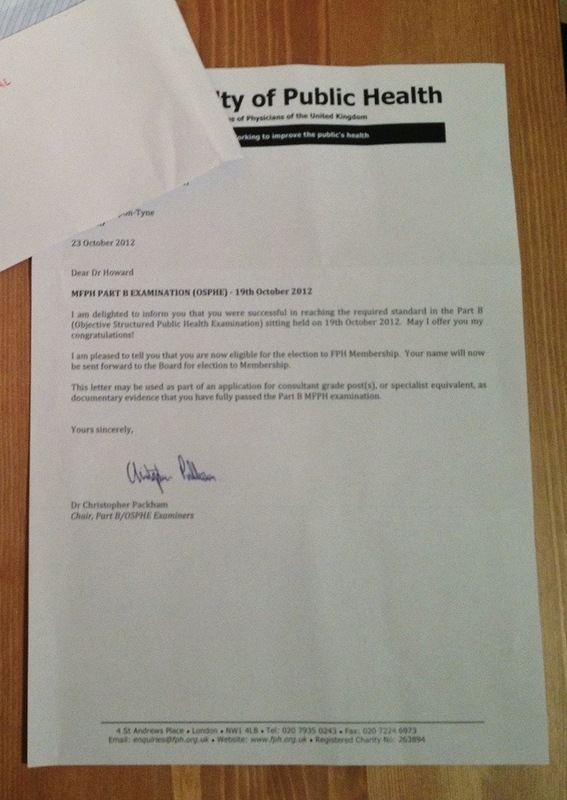 I’m celebrating tonight, as this letter arrived today to inform me that I’ve passed my Part B exam, and so earned membership of the Faculty of Public Health. This is both scary and exciting on a couple of fronts: firstly, I’ve passed all the exams I need to pass to become a consultant in public health; secondly, for the first time since I was nine years old (the current age of my oldest nephew), I’ve no exams planned in the next twelve months. Or at all, for that matter. This 1,861st post was filed under: Photo-a-day 2012, Video, Public Health.